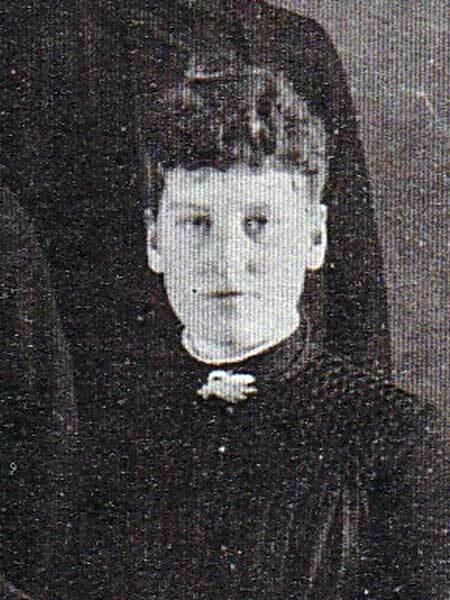 Born at Sylvan, Ontario on 24 July 1868, daughter of Sears Mott (1831-1897) and Maria Loomis (?-? ), sister of Sidney Mott, she came to Manitoba with her large family and settled at Souris. She later taught at Adelaide School (?-? ), Longburn School (?-? ), and New Central School (1904-1905) then served as the Principal of Park School (1906). On 24 July 1906, she married Wellington Clifton Kelley (1860-1950) at Strathclair and moved to Summerland, British Columbia where her husband was a judge. She died there on 6 April 1949 and was buried locally. We thank Geraldine Sookorukoff for providing information used here.